Currently there are 1138 museums listed in the directory. Caramulo is a quiet city on top of a hill in the heart of Portugal. 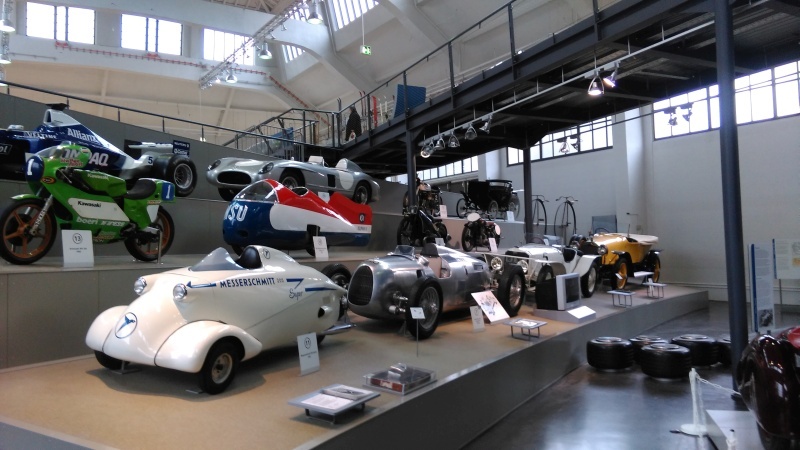 Our friend, Tibor Ács visited its most famous attraction, the local automobile and art museum. Our good friend, Alexander Matveev recently paid a visit to the Riga Motor Museum in Latvia. For many years it was renowned for its Auto Union Grand Prix race car, but there are many other interesting automobiles and motorcycles being shown. Valencay is home to one of the most elegant and exquisite castles in the Loire Valley. It was used by Napoleon's foreign minister, Talleyrand in the early 19th century. BRUSSELS, Belgium - 22 November: Thanks to many private owners Autoworld will show +- 40 different models on the mezzanine Floor in Autoworld. Historic cars including a very old Lagonda DP 21/15 (1925). BERLIN, Germany -- 7 November, 2014: Berlin-based online auction house Auctionata is set to present its first auction of classic cars. On November 28, 2014 at 6 pm CET, the ‘Classic Cars’ auction will bring a selection of 40 automobiles under the hammer. We are very happy to announce some new developments. Over the years automuseums.info - the Motoring Museums' Lighthouse became the leading guide to automobile museums worldwide.